There’s nothing like a fun paper plate craft, especially when you put a twist on it. 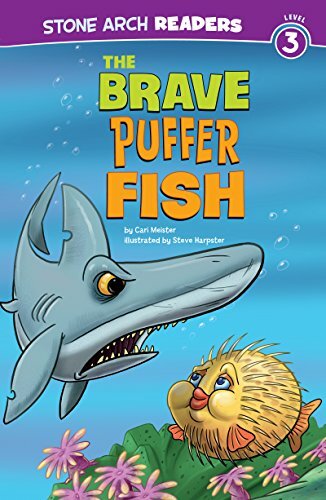 This paper plate fish goes beyond the basic goldfish and gets a little wild with a little puffer fish action! 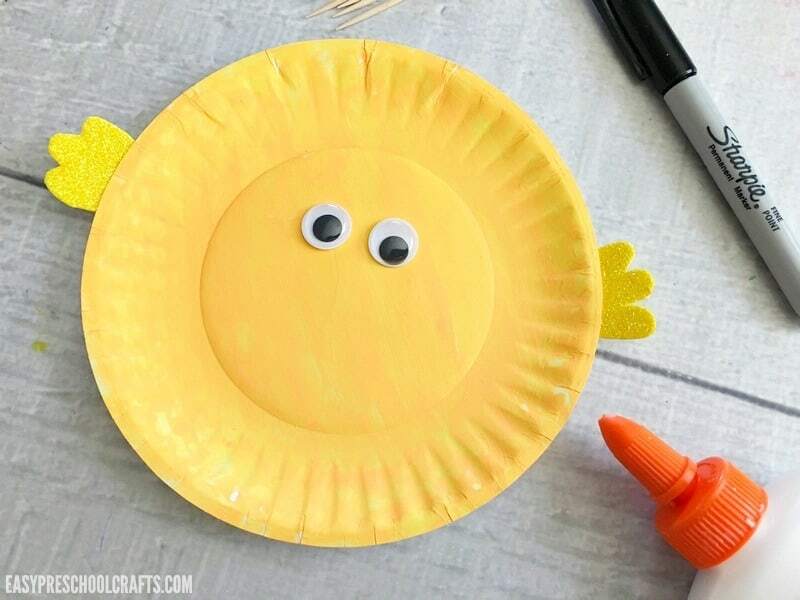 This paper plate fish craft is a fun twist on a basic fish craft for preschoolers. The addition of the toothpicks turns it into a craft that is blowing up with personality! Whether you’re having fun making ocean crafts or even beach crafts, this paper plate fish is a fun one to make. 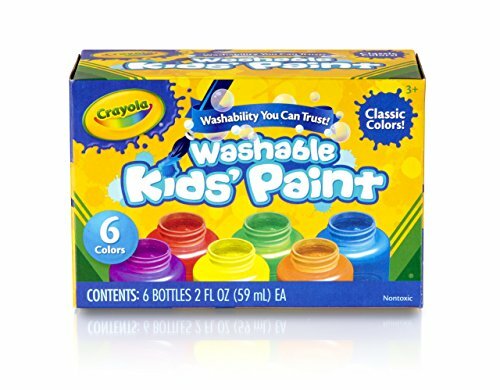 Even older kids get caught up with this one. Learning how to how to make a fish out of a paper plate is the easy part! Once you and your kids know how to make a basic fish, it’s all about getting creative! 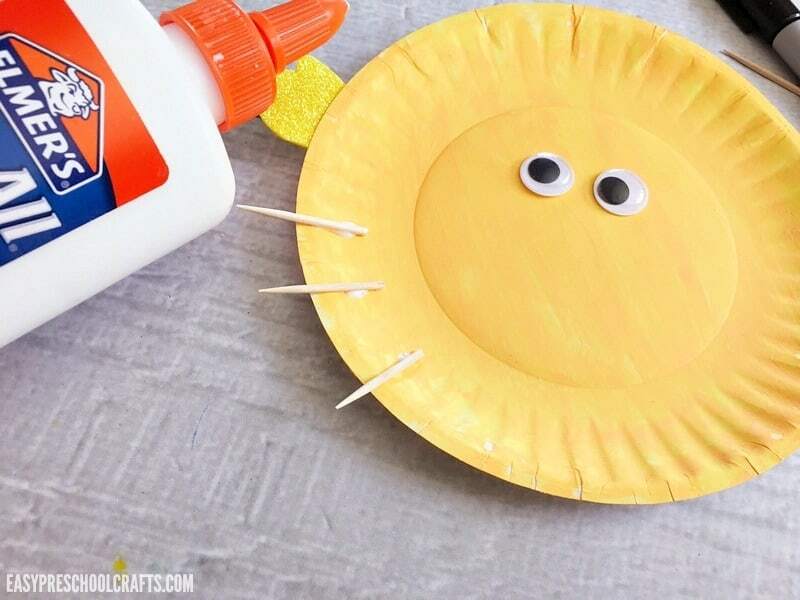 You can use a paper plate to make our take on a Rainbow Fish craft or turn it into a clownfish or get crazy and turn the plates into whales and sharks! 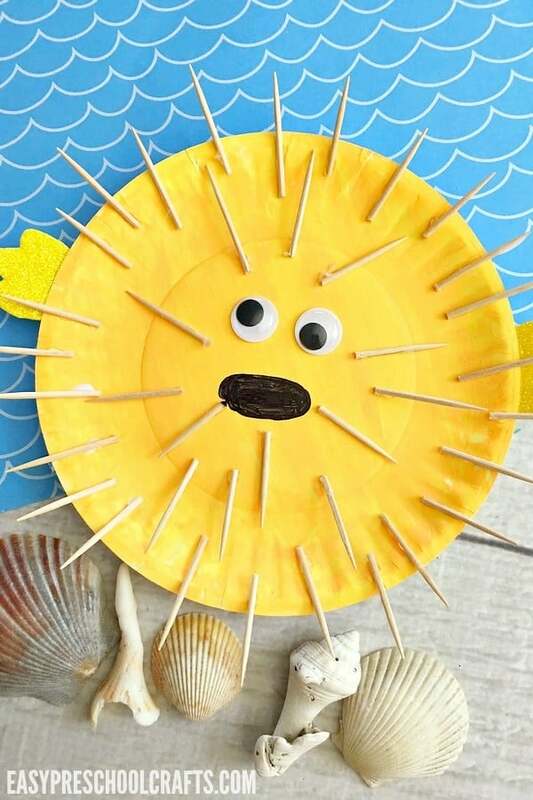 If you’re looking for ideas, check out our list of under the sea crafts for preschool for a ton more paper plate fish craft ideas (as well as some other fun ocean craft ideas)! 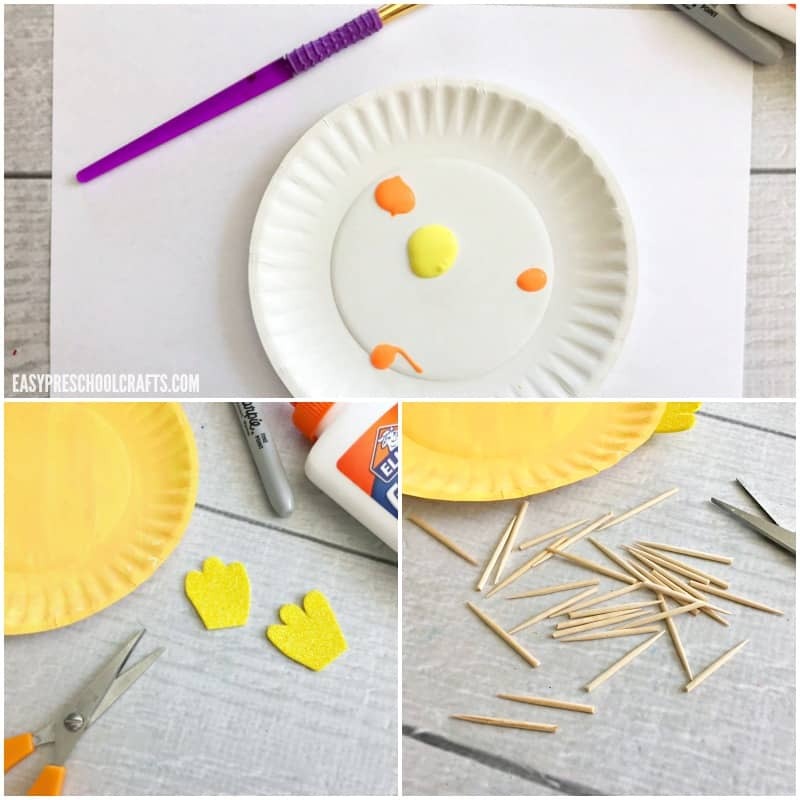 Getting started on this paper plate fish activity takes some very basic craft supplies. 1. 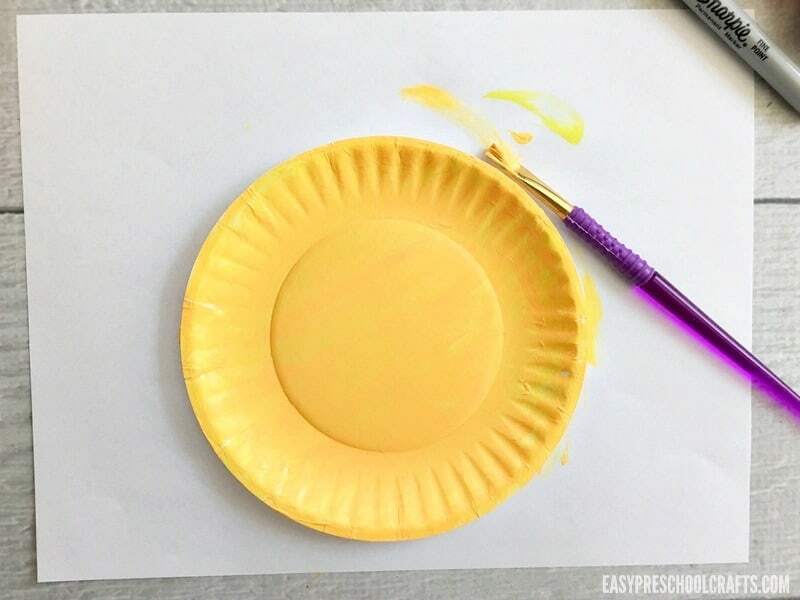 Paint the plate with a mix of orange and yellow craft paint and let dry completely. 2. 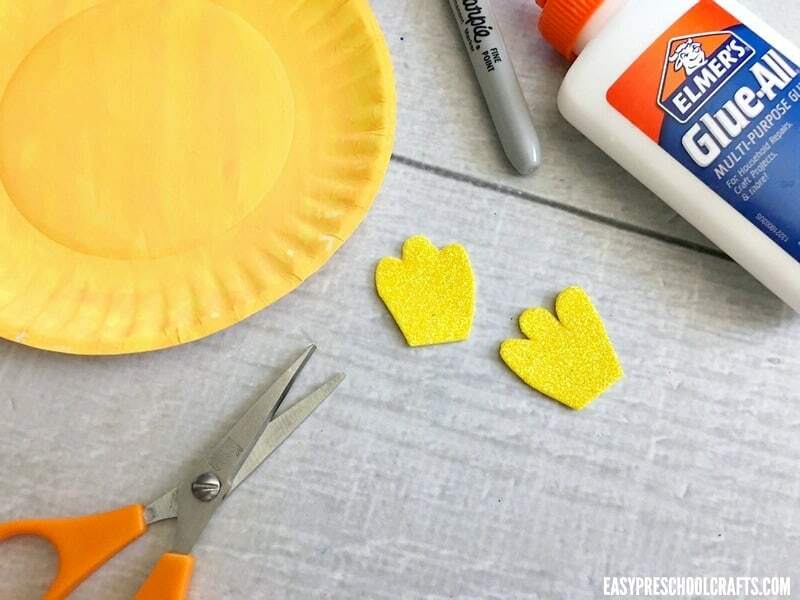 Cut out two small fins from the yellow glittered craft foam and glue them to the back sides of the plate. Glue one on each side on the plate. 3. Glue two googly eyes to the front center of the plate. Place them a little bit above the center of the plate so you have room to draw a mouth too. 4. ADULT HELP NEEDED ALERT! Cut a bunch of toothpicks in half. 5. 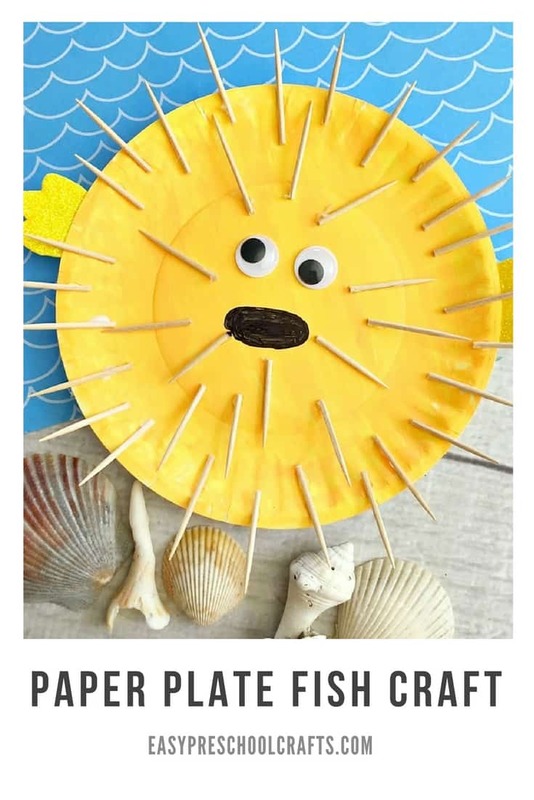 Glue the toothpicks all over the front and edges of the plate to make it into a puffer fish! 6. 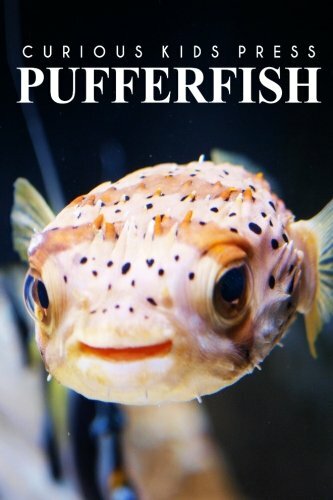 Then use a black marker to draw a mouth on the puffer fish and give it some personality! And just like that, you have one of the cutest paper plate crafts I’ve seen in a long time! 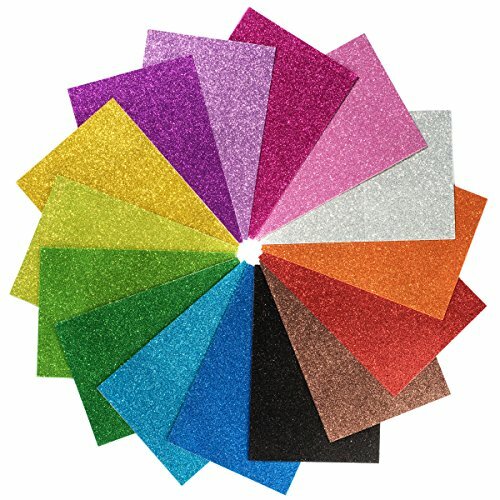 I think these would be fun to make in a ton of different colors! 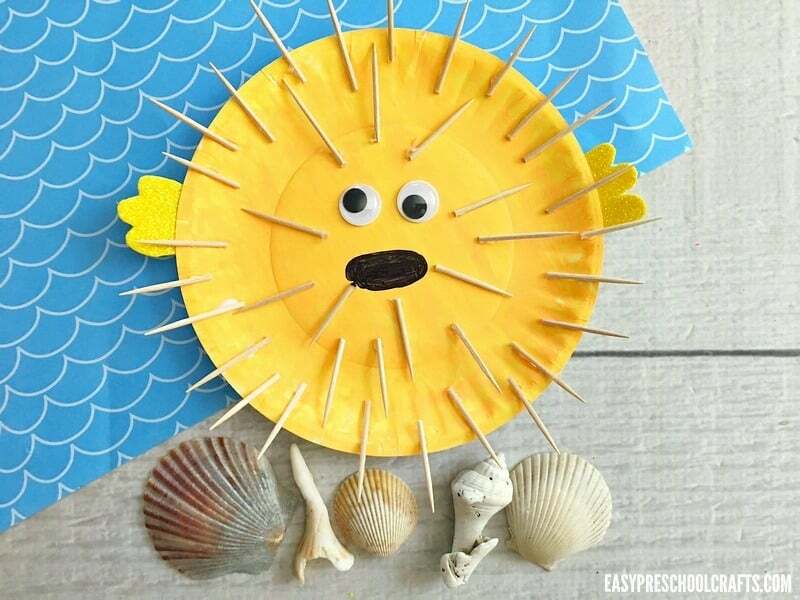 You could have a whole school of paper plate fish and create your own ocean scene with them! 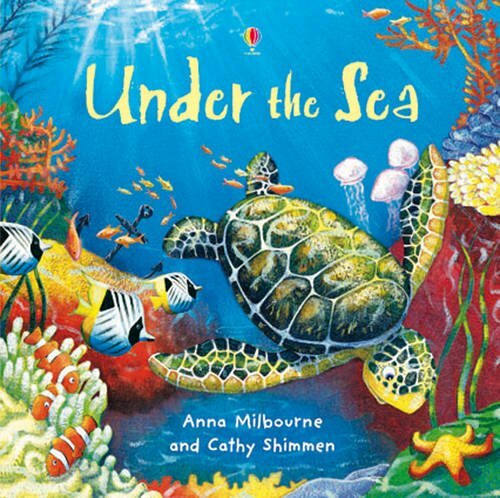 If you’re looking for a few books to go along with this craft, any ocean book would work well but we also like learning facts about the paper plate animals we make too! And if you’re looking for another fun way to explore life under the sea using paper plates, this fish aquarium craft is also super cute! 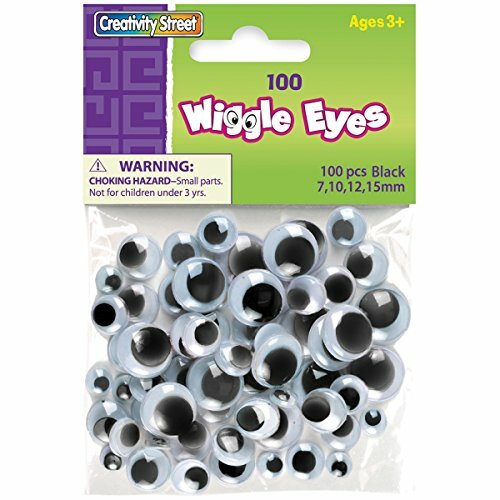 It offers some great fine motor skills practice for our toddlers and preschoolers.